An Ojii-san was reincarnated thanks to a kind Goddess. He wished for a 「healthy body」. However, for some reason he received the cheat ability to use powerful magic instead! Even so, he rarely used the ability. When he ―― Shiu, turned 11, the Goddess appeared and informed him ――。”Become an adventurer and enjoy life.” He went to the Royal Capital in order to become an adventurer, on his way there, he met a beast mount, Faris, who became his pet. From there he began his new life. Shiu’s world broadened little by little as he took on requests at the Guild and interacted with different people at the Royal Capital ――。 Shiu, the boy with a truly powerful ability, starts his easy going life in a fluffy different world! You can think of this as 'Showcasing a generic main character's life, while expected Fantasy things happen sometimes'. There's a lot of explaining various things, and telling the reader conclusions about interactions instead of- you know, having them be exposed via storytelling. It's not bad. Another quiet, slice-of-life-like, OP (but lazy) protag thing. Occasionally inconsistent story telling. The MC's origin story influences the main story only as an excuse for random justifications. Won't even get into the 'forced on MC' cheats. 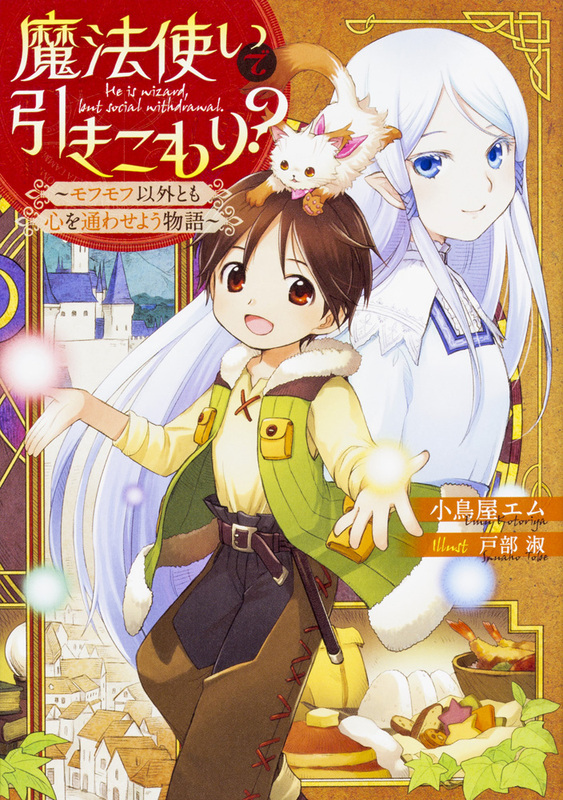 The premise (an old man dies in his sleep and is reborn as a youth in a fantasy world) sounded interesting- but so much other crap is jammed in, the main idea _would_ be overshadowed- but 'no worries', the author pretty much plays the renewed MC as if he wasn't originally old anyway! (except for a few excuse level lines here & there about his behavior). Every so often there will be a bit of 'This is somehow of concern to the author', where he will explain someone's motivation/attitude (etc.) and justify things. Also ideas and habits from modern day/Japan are jammed in at places which seem weird at times, and are clearly given little thought at others. "I found that- really!" suddenly becomes less of an 'absolute', and likely to get you killed if not careful, because the thing you 'found' is clearly someone else's. Finally, the translation is a touch 'off'- nothing unreadable (mostly a few 'ill fitting' words and inaccurate tenses & the like) - the translator is apparently not a native English speaker, but does an acceptable job. It's one of the better layed back stories so don't expect too many battles or huge cliff hangers but the occasional adventure with quite a lot of mishaps. It's quite a relaxing story if you ask me but it does lack quite a lot of detail expecially when I comes to magic and such which is a bit disappointing. I have yet to read a fantasy story where the entire magic system would be profound enough to make interesting yet plausible in a different world but this does not even attempt to... more>> develop that aspect. Something to note when you read the series is that the author has a glossy style of writing. There really isn’t much detail and the logic is a bit fuzzy. ex: He used dark attribute magic to make the dark forest visible, but he had done it instinctively so he didn’t need to chant, but he did anyways to level up. Still reading to see how it develops. This is all my own opinon, I encourage you to read the story and make your own. Or at least try to for this one. Lets fet the good things out of the way. ... more>> Now everything else. This story is nothing, after first few chapters the starting premise about old man reincarnated to live a happy life kinda just fades into tbe background. And unlike other slice of life storys. Where SOMETHING happens. There is some sort of conflict. Or progession in some way. There is none here. The MC does nothing. Its hinted that if the MC is found out people would try to capture him. When people find out, nothing happens. The only confict so far that was not instantly solved and forgotten, is with a 12 year old brat. And there lies the problem. This could of been good, there was enough there. Enought hinted upon. The problem is, that at least for me even if there is a pay off about 37/44 chapters of fluff is not worth it.